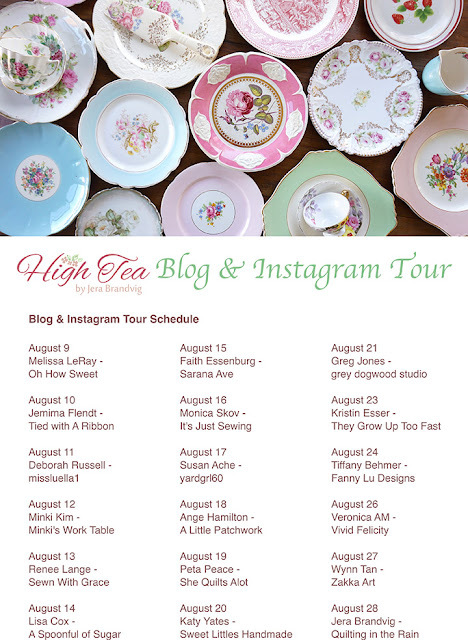 Today I am very excited to be a part of the High Tea Blog and Instagram tour! This beautiful line of fabric by Jera Brandvig of Quilting in the Rain for Lecien Fabrics is just stunning. 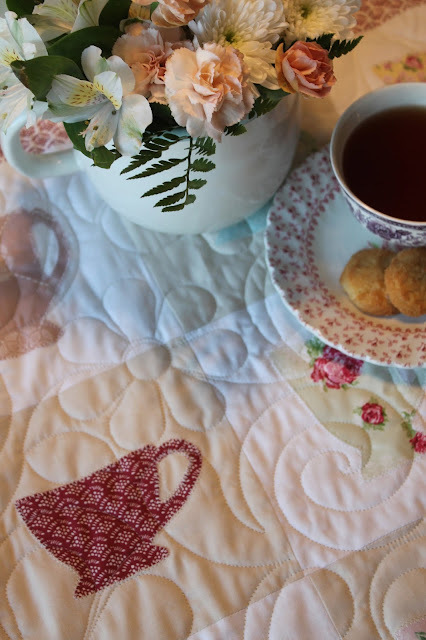 I used the pattern, "A Cuppa" by Brenda Riddle of Little Acorn Quilt & Gift Company. I must say, this is one of my most favorite quilts to date. The combination of Jera's fabric with Brenda's pattern is a wonderful pairing. My favorite print in the line is the strawberry fabric in the blue which I used on the border as well as in the quilt. This line is dreamy and you'll want to get some before it becomes hard to find! 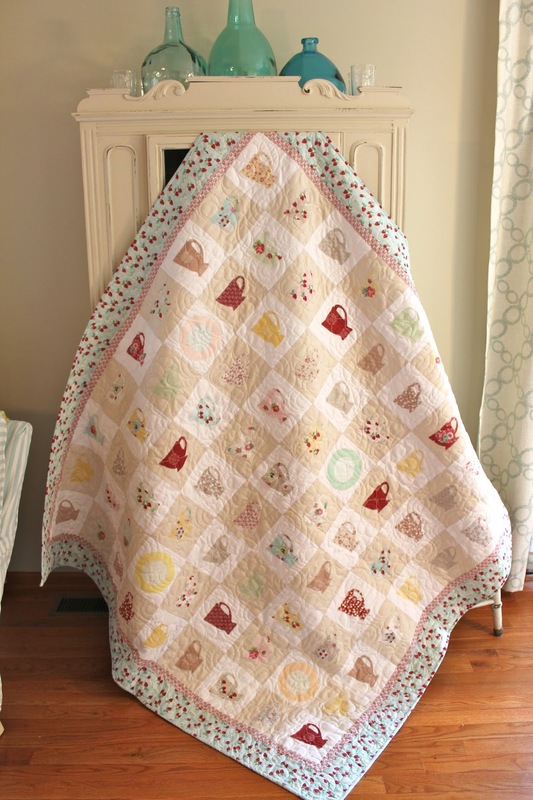 Jera has a wonderful quilt as you go book which can be found here. 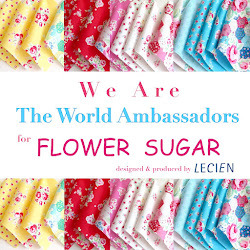 My love affair with Lecien goes way back and they continually create gorgeous fabrics for our enjoyment. A shout out to the wonderful quilting by Rhonda Loy of Quality Quilting. Please see the schedule above for more wonderful creations with this beautiful line! 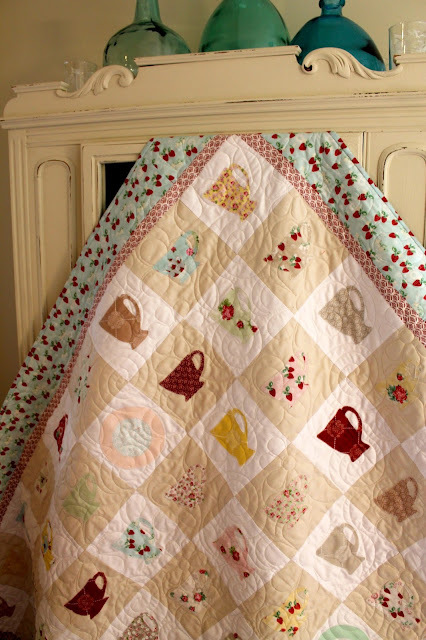 The quilt and the fabrics are beautiful. Renee. You amaze me. I can't quite see how you did the applique, but I know it was a lot of work. Thanks for the inspiration. I love your quilt. It's beautiful! Stunning, what a beautiful make. You are certainly an inspiration. This is so beautiful Renee! Love how you used the two different background fabrics! Oh my gosh! Renee! 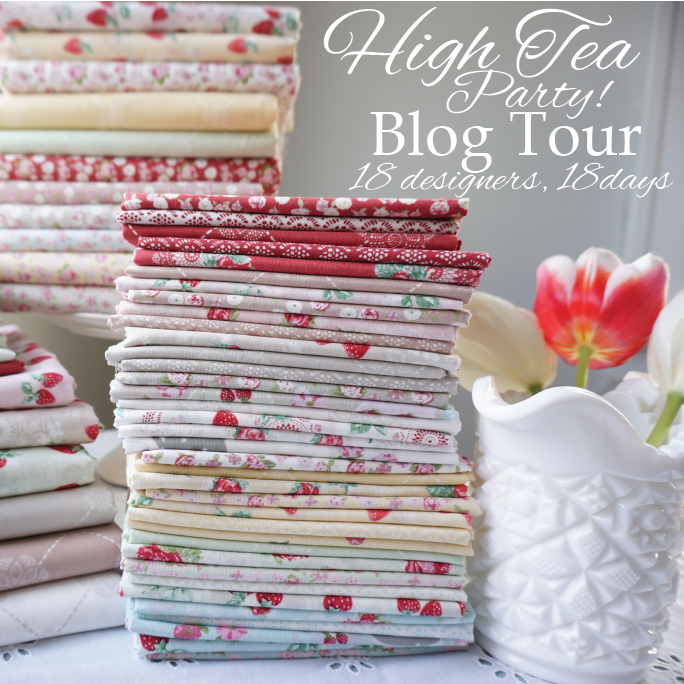 Teacups + fabric?! My heart can't take it! Beautifully done. Of course! What a beautiful quilt! I love the pairing of the fabric & the quilt pattern. I need to make this quilt! Your quilt is gorgeous. I have been trying to decide what to make with my High Tea.